We service all 50 U.S. states, over 1,500 American cities, and over 30 countries. So, wherever you are...we're nearby! Host Your Training at Your Facilty on Date Your Reserve. 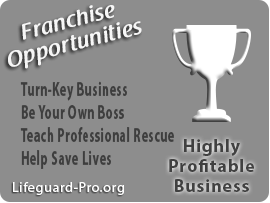 Lifeguard-Pro enables you, the employer or group organizer, to affordably host your group Lifeguarding, Water Safety Instructor, CPR and/or First Aid training classes at your facility on the date you reserve. 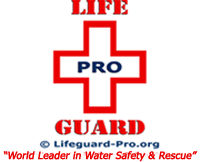 Lifeguard-Pro is the answer you've been looking for. Online Home-Study & 1-Day In-Person Training. 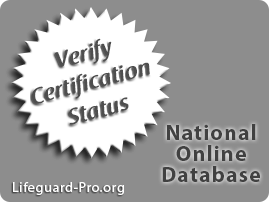 Lifeguard-Pro makes certifying your employees or group ultra-convenient. 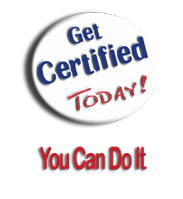 Your group members will complete their certification courses in two easy steps. STEP 1: Complete our comprehensive, preparatory, online Home-Study Course in the comfort and convenience of your own home, while working at your own pace. 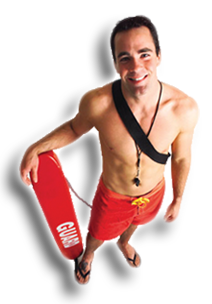 STEP 2: Local Lifeguard-Pro certified instructors will conduct your course required In-Person Training at your facility on the date your reserve. It is that simple. 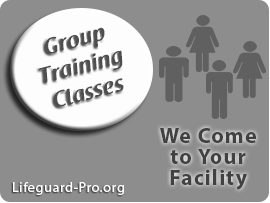 Reserve Your Group Training Class Now! LOWEST PRICE GUARANTEE. 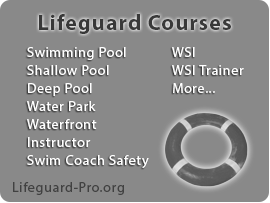 Become a Lifeguarding Instructor. 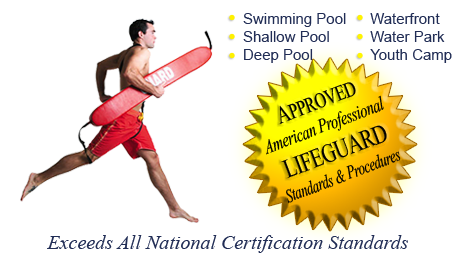 Conveniently and affordably get certified to teach Lifeguarding classes. 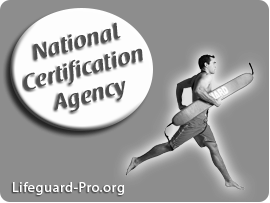 Whether you are seeking your initial Lifeguard Instructor certification or you are an experienced Lifeguard Instructor seeking to cross-over to Lifeguard-Pro, we can help you. Easy 2-Step Certification Process. 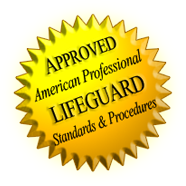 Get certirfied as a Lifeguarding Instructor in two easy steps. STEP 1: Complete our comprehensive, online, preparatory Home-Study Course from the comfort and convenience of your own home, while working at your own pace. 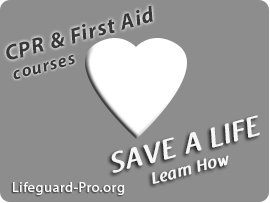 STEP 2: Participate in a 2-3 day In-Person Training Session with a local Lifeguard-Pro certified Lifeguard Instructor Trainer. 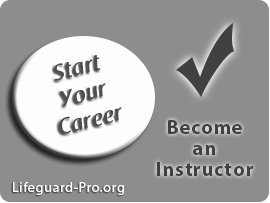 The Instructor Trainer will serve as your personal mentor and be dedicated to helping you achieve your certification. You will not have to wait for a group of Lifeguarding Instructor candidates to assemble in your area. Your Instructor Trainer will train and certify you, even if you are the only Lifeguarding Instructor candidate in your area. 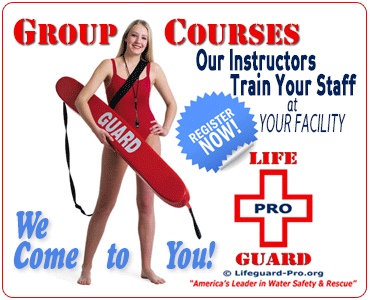 Register for your Lifeguarding Instructor certification course now!